If you follow FLO Living, you know I talk ALL THE TIME about how food is key to balanced hormones. And that’s true. What you eat—and when you eat it—is the critical first step in healing your hormones and resolving period problems. One of the key reasons food is so important for hormones is because of the essential micronutrients it delivers—micronutrients like magnesium, omega 3 fatty acids, B vitamins, and vitamin D—but the sad reality is that we often don’t get enough of these micronutrients in our food… even when we’re eating perfectly. That’s because many fruits and vegetables are grown in nutrient-depleted soil, so they don’t contain enough of the good stuff to support optimal health. It’s also because a lot of environmental factors— many beyond our control—collude to rob our bodies of precious micronutrients faster than we can take them in. It’s also because of the very real limits of our busy lives. Many of us simply don’t have the time to cook, let alone eat, 9 to 11 servings of vegetables a day. Food must come first when healing your hormones and trying to resolve things like acne, bloating, PMS, severe cramps, heavy or irregular periods, and other period problems. But sometimes a micronutrient-rich diet of hormonally-supportive foods isn’t enough to achieve optimal hormone health. Sometimes your body needs an extra boost. As I said above, sometimes micronutrient deficiency just happens—even when you’re doing everything right. But there are some habits and practices that might seem healthy (or at least not harmful) but that, in fact, deplete essential micronutrients and make hormone imbalances worse. You drink caffeine. Caffeine leaches precious micronutrients from the body. You drink alcohol regularly. Regular alcohol consumption bleeds the body of micronutrients, too. You take the pill (or you have in the past). Same problem as caffeine. 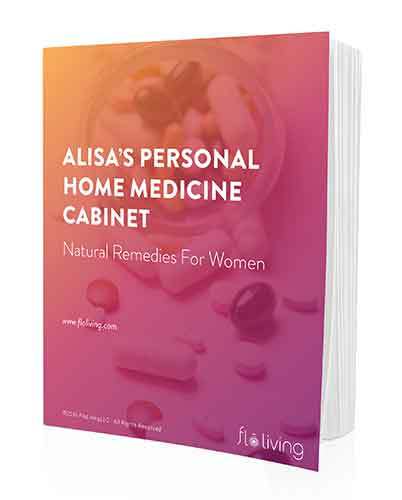 The pill causes your body to jettison micronutrients faster than you can replace them. You engage in extreme diets. Maybe you only eat one or two types of food. Whether healthy or not, these foods can’t possibly give you the wide breadth of micronutrients you need for optimal hormone health. Or maybe you don’t eat enough calories each day. If you’re not getting enough calories, you’re not getting enough micronutrients. You exercise too much. Over-exercise depletes the body of essential micronutrients faster than you can replace them. You use conventional health and body care products. These products are full of toxins that tax the endocrine system and prevent optimal micronutrient levels. You use conventional house-cleaning products. Same deal as using conventional health and body care products. You experience chronic, unremitting stress. Emotional stress taxes the body and works against optimal micronutrient levels. These micronutrients, in the right amounts, will help you get back on track hormonally and bring relief from your symptoms. In the FLO Protocol, food comes first. After that, taking high-quality, targeted supplements is the single best way to help yourself recover lost nutrients and restore hormone balance. Supplements can help undo the havoc caused by caffeine, stress, hormonal birth control, and environmental toxins. And when you’re first starting the FLO Protocol, they will help you build a stable hormone base faster. 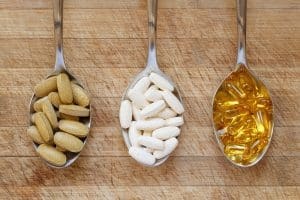 The other beautiful thing about supplements is that they don’t just expedite healing; they help support long-term maintenance. Even the most hormonally-aware among us occasionally relapse into less-than-hormonally-ideal habits (coffee happens, I get it!). By continuing to supplement your (almost always) healthy diet and lifestyle with the right nutrients, you’ll be able to replenish your depleted stores quickly. It’s easy to feel protected by a virtuous diet. And if you’ve started using The Cycle Syncing Method™ to eat in phases in accordance with your 28-day menstrual cycle, you might feel like you’ve already gone the extra mile…. and you have! You have taken the best first steps to healing your hormones. But don’t let factors beyond your control—like vegetables with fewer nutrients and ambient environmental toxins— rob you of the symptom relief you deserve. Use supplements to fill the gaps, protect your hormones, and feel your best!